← No-Knead to Fuss ! Aren’t you lucky to have such a thoughtful sister ! What a great idea! Everything sounds yummy! 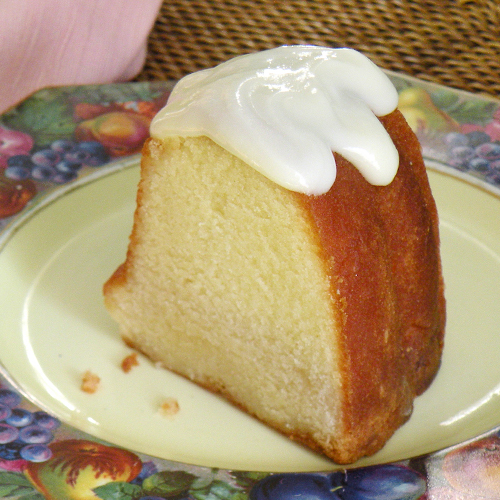 That dollop of icing on the top looks so inviting! What a perfectly simple and elegant cake.